I am still pondering the idea of subtlety, which has led me back to one of the many photos I took of the sidewalks in Bath. Each time I happened upon one of them, I felt compelled to stop and study it. 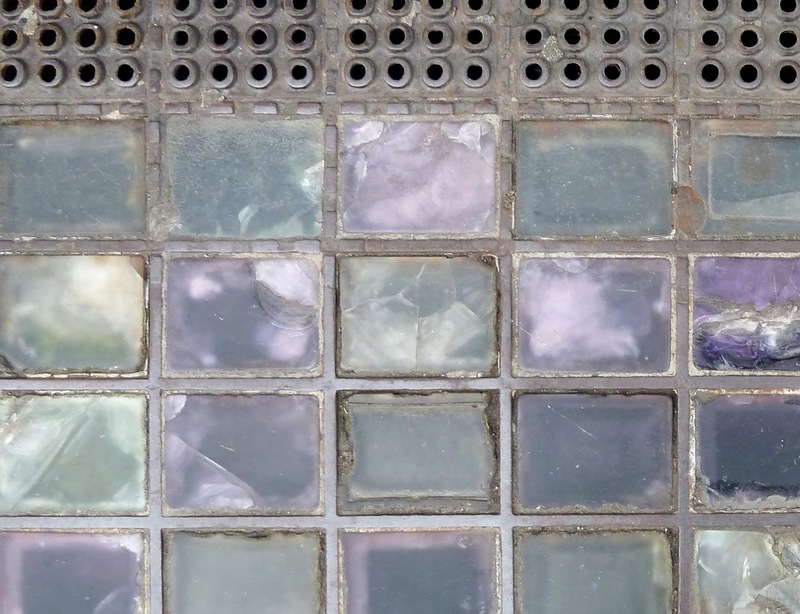 Generations of feet have worn down the the glass bricks, adding variations of texture and tone. The edging of ventilation holes seem almost startlingly regimented in comparison. The bricks' milky shades of violet and blue-green make me think of the cloudy skies of England, subtle and ever-changing.